Heaven is the place where God dwells. It is a location that is wholly spiritual in nature. Christianity defines heaven as being in the presence of God with places prepared for the faithful by Jesus and is viewed as eternal bliss beyond that which can currently be known. Those who are allowed into heaven are given new bodies that do not decay and death will be gone. It is also possible there are different ‘levels’ of heaven according to the apostle Paul who describes his journey to the third heaven (2 Cor. 12:2). Heaven is a term that has three distinct meanings in the Bible. It is most commonly known as the abode of God and the angels, and the final destination of all who have put their faith and trust in Jesus Christ. The word heaven is also used in scripture to refer to the Earth’s atmosphere, and again in reference to interstellar space. The most frequently used Hebrew word for heaven in the Old Testament is samayim, signifying “heaved up things” or “the heights.” In the Greek New Testament it is ouranos, which denotes “sky”, or “air”. These words refer to the atmosphere just above the earth (Genesis 1:20, etc. ); to the firmament in which the sun and moon and stars are located (Genesis 1:17, etc. ); to God’s abode, for, although God is omnipresent, He manifests Himself in a special manner in the light and grandeur of the firmament (Psalm 2:4, etc. ); to the abode of the angels, for they are constantly with God and see His face (Matthew 22:30). The Old Testament has no word for universe, and to express the idea there is the frequent “heaven and earth.” We read of “the heaven and the heaven” (Deuteronomy 10:14), and of a man’s being “caught up into the third heaven” (2 Corinthians 12:2). With God in heaven are likewise the souls of the just (2 Corinthians 5:1; Matthew 5:3, 12). In Ephesians 4:8-16, we are told that Christ conducted to heaven the patriarchs who had been in limbo (limbus patrum). Thus the term heaven has come to designate both the happiness and the abode of just in the next life. Christianity defines heaven as being in the presence of God with places prepared for the faithful by Jesus and is viewed as eternal bliss beyond that which can currently be known. Those who are allowed into heaven are given new bodies that do not decay and death will be gone. Marriage is not a part of heaven. It is also possible there are different ‘levels’ of heaven according to the apostle Paul who describes his journey to the third heaven. The conditions to enter heaven in Christianity, are defined by Jesus in the Gospel where he commands everyone to follow his laws and commandments to enter heaven and escape hell. Although some, like Plato, imagine heaven to be a disembodied state where naked minds contemplate the eternal, unchanging ideas, in the Bible this is not so. According to Paul, the whole person survives. Even the body is raised again, so that, if it is no longer flesh and blood (1 Corinthians 15:50), it nevertheless has a continuity with the present body, a sameness in form if not in material element (see Matthew 5:29, 30; 10:28; Romans 8:11, 23; 1 Corinthians 15:53). In heaven the redeemed will be in the immediate presence of God; will forever feed on the splendor of God’s majesty, beholding the Father’s face. In the present life men “see through a glass, darkly; but then face to face” (1 Corinthians 13:12). And the sons of God will see Christ “as he is” (1 John 3:2). The childlike in faith, even as the angels do now, will “always behold the face” of the Father (Matthew 18:10). They will not so much glory in the presence of Supreme Reason, but in the wonder of the All-Holy One (Isaiah. 6:3; Revelation 4:8). And this God is a Father, in whose house (John 14:2) the redeemed will dwell, where “they shall be his people,” and where “God himself shall be with them” (Revelation 21:3). Though there is much conjecture about what Heaven is like, its central core is that we will be with Jesus Himself. He has entered back into the presence of the Father and has conveyed to us that the redeemed of the Lord will likewise be with Him where He is. Paradise may be to Heaven as the foyer may be to the inner room of a great Mansion. Without a doubt, Jesus responded to the penitent thief on the cross who turning to Him and said: “Lord, remember me when thou shalt come into thy kingdom.”, saying, “Amen I say to thee, this day thou shalt be with me in paradise” (Luke 23:42-43). He also said, “Where I am, there you will be also” (John 14:3). And speaking of the time that we will be in the presence of Jesus, John the Apostle says, “We shall be like Him, for we shall see Him as He really is” (1 John 3:2). With regard to what Heaven actually looks like, little information is given, but certain is that the reality of heaven is beyond earthly comprehension, as we can deduce from St. Paul, when he speaks to the Corinthians, saying, “That eye hath not seen, nor ear heard, neither hath it entered into the heart of man, what things God hath prepared for them that love him” (1 Corinthians 2:9). Pope Pius XI put it in the following manner: “Whoever identifies, by pantheistic confusion, God and the universe, by either lowering God to the dimensions of the world, or raising the world to the dimensions of God, is not a believer in God.” (Mit Brennender Sorge #7, 1937.) Artistic depictions of Heaven are usually characterized by bright, shining light; Dante’s Paradiso is an example, although the overwhelming light there is at least partly a metaphor for divine love. All the signs in the liturgical celebrations are related to Christ: as are sacred images of the holy Mother of God and of the saints as well. They truly signify Christ, who is glorified in them. They make manifest the “cloud of witnesses” (Hebrews 12:1) who continue to participate in the salvation of the world and to whom we are united, above all in sacramental celebrations. Through their icons, it is man “in the image of God,” finally transfigured “into his likeness” (Cf. Romans 8:29; 1 John 3:2), who is revealed to our faith. So too are the angels, who also are recapitulated in Christ. The Symbol of the faith confesses the greatness of God’s gifts to man in his work of creation, and even more in redemption and sanctification. What faith confesses, the sacraments communicate: by the sacraments of rebirth, Christians have become “children of God” (John 1:12; 1 John 3:1), “partakers of the divine nature” (2 Peter 1:4). Coming to see in the faith their new dignity, Christians are called to lead henceforth a life “worthy of the gospel of Christ” (Philippians 1:27). They are made capable of doing so by the grace of Christ and the gifts of his Spirit, which they receive through the sacraments and through prayer. The essential joy of heaven is called the beatific vision, which is derived from the vision of God’s essence. The soul rests perfectly in God, and does not, or cannot desire anything else than God. After the Last Judgment, when the soul is reunited with its body, the body participates in the happiness of the soul. It becomes incorruptible, glorious and perfect. Any physical defects the body may have laboured under are erased. Heaven is also equated with paradise in some cases. “By virtue of our apostolic authority, we define the following: ‘According to the general disposition of God, the souls of all the saints ... and other faithful who died after receiving Christ’s holy Baptism (provided they were not in need of purification when they died, . . . or, if they then did need or will need some purification, when they have been purified after death, . . .) already before they take up their bodies again and before the general judgment - and this since the Ascension of our Lord and Savior Jesus Christ into heaven - have been, are and will be in heaven, in the heavenly Kingdom and celestial paradise with Christ, joined to the company of the holy angels. Since the Passion and death of our Lord Jesus Christ, these souls have seen and do see the divine essence with an intuitive vision, and even face to face, without the mediation of any creature.’” (Cf. Benedict XII, Benedictus Deu). This perfect life with the Most Holy Trinity - this communion of life and love with the Trinity, with the Virgin Mary, the angels and all the blessed - is called “heaven.” Heaven is the ultimate end and fulfillment of the deepest human longings, the state of supreme, definitive happiness. From this unshakeable faith springs forth the hope that sustains each one of us, which express the groanings of the present age, this time of patience and expectation during which “it does not yet appear what we shall be” (1 John 3:2; Cf. Colossians 3:4). The Eucharist and the Lord’s Prayer look eagerly for the Lord’s return, “until he comes” (1 Corinthians 11:26). To live in heaven is “to be with Christ.” The elect live “in Christ” (Philippians 1:23; cf. John 14:3; 1 Thessalonians 4:17), but they retain, or rather find, their true identity, their own name. (Cf. Revelation 2:17.) “For life is to be with Christ; where Christ is, there is life, there is the kingdom.” (St. Ambrose, In Luke.,10,121.) By his death and Resurrection, Jesus Christ has “opened” heaven to us. The life of the blessed consists in the full and perfect possession of the fruits of the redemption accomplished by Christ. He makes partners in his heavenly glorification those who have believed in him and remained faithful to his will. Heaven is the blessed community of all who are perfectly incorporated into Christ. They shall see his face. Thus in a few words is expressed the happiness of the blessed in heaven; they shall see God, from which vision proceed love, joy, and everlasting praises of the divine Majesty. In the glory of heaven the blessed continue joyfully to fulfill God’s will in relation to other men and to all creation. Already they reign with Christ; with him “they shall reign for ever and ever” (Revelation 22:5; cf. Matthew 25:21,23). There will be activities in heaven to engage man’s highest faculties. For one thing, there will be governmental ministries. The “spirits of just men made perfect” (Hebrews 12:23) will be in the “city of the living God, the heavenly Jerusalem, and to the company of many thousands of angels” (Hebrews 12:22), and men are to assist in governing the whole. Thus in the parable of the nobleman the good servant, who has been “faithful in a very little” on earth, is in heaven to be given “authority over ten cities” (Luke 19:17). In Matthew the servant who had been given five talents and who had “gained beside them five talents more” is told: “Well done, thou good and faithful servant:... I will make thee ruler over many things: enter thou into the joy of thy lord” (Matthew 25:20-21). Perhaps new songs are to be written and sung (Revelation 5:9). The “redeemed from the earth,” too, are to learn a “new song” (Revelation 14:3). And the kings of the earth are to “bring their glory and honour into it” (Revelation 21:24). So while there is to be on the part of the redeemed a continuous worship in heaven, it seems to be in the sense that all activities engaged in will be for the sole glory of God and will therefore partake of the nature of worship. The Bible tells us, “At the resurrection people will neither marry nor be given in marriage; they will be like the angels in heaven” (Matthew 22:30). This was Jesus’ answer in response to a question concerning a woman who had been married multiple times in her life—whom would she be married to in heaven (Matthew 22:23-28)? Evidently, there will be no such thing as marriage in heaven. This does not mean that a husband and wife will no longer know each other in heaven. This also does not mean that a husband and wife could not still have a close relationship in heaven. What it does seem to indicate, though, is that a husband and wife will no longer be married in heaven. Most likely, there will be no marriage in heaven simply because there will be no need for it. Instead, we will be married to Christ, and we will belong to Him forever (Romans 7:1-4)! When God established marriage, He did so to fill certain needs. First, He saw that Adam was in need of a companion. “And the LORD God said, ‘It is not good for man to be alone: let us make him a help like unto himself.’” (Genesis 2:18). Eve was the solution to the problem of Adam’s loneliness, as well as his need for a “helper,” someone to come alongside him as his companion and go through life by his side. In heaven, however, there will be no loneliness, nor will there be any need for helpers. We will be surrounded by multitudes of believers and angels (Revelation 7:9), and all our needs will be met, including the need for companionship. Heaven is a real place described in the Bible. The word “heaven” is found 238 times in the New Testament alone. Scripture refers to three heavens. The apostle Paul was “caught up to the third heaven,” but he was prohibited from revealing what he experienced there (2 Corinthians 12:1-9). Upon dying, each soul goes to what is called “the particular judgement” where its own afterlife is decided (i.e. Heaven after Purgatory, straight to Heaven, or Hell.) This is different from “the general judgement” also known as “the Last judgement” which will occur when Christ returns to judge all the living and the dead. It is a common Catholic belief that St. Michael the Archangel carries the soul to Heaven. The belief that Saint Peter meets the soul at the “Pearly Gates” is an artistic application of the belief that Christ gave St. Peter, the first Pope, the keys to Heaven. Catholics see the mass as heaven on earth. In Christianity, belief in Jesus and proper works are always considered necessary and go hand in hand. Sins of earth must first be cleansed through Purgatory before one can enter heaven (1 Corinthians 3:12-15). This is valid for venial sin only, as mortal sins can be forgiven only through the act of reconciliation and repentance while on earth. Jesus tells people over and over in the gospel that only those who believe in him will be saved. Thus, the non believers are excluded from heaven until they receive the Christian faith (John 14:6; Acts 4:12). Our Father “desires all men to be saved and to come to the knowledge of the truth” (1 Timothy 2:3-4). He “is forbearing toward you, not wishing that any should perish” (2 Peter 3:9; cf. Matthew 18:14). His commandment is “that you love one another; even as I have loved you, that you also love one another” (John 13:34; cf. 1 John 3; 4; Luke 10:25-37). This commandment summarizes all the others and expresses his entire will. As Heaven is a place where only the pure are permitted, no person who dies in a state of sin can enter Heaven. Those who die in God’s grace and friendship and are perfectly purified live for ever with Christ. Chastity is a moral virtue, it is a shortcut into Heaven (Matthew 19:12). It is also a gift from God, a grace, a fruit of spiritual effort: “But the fruit of the Spirit is, charity, joy, peace, patience, benignity, goodness, longanimity, Mildness, faith, modesty, continency, chastity” (Galatians 5:22-23). The Holy Spirit enables one whom the water of Baptism has regenerated to imitate the purity of Christ (Cf. 1 John 3:3). The “pure in heart” are promised that they will see God face to face and be like him (Cf. 1 Corinthians 13:12; 1 John 3:2). Purity of heart is the precondition of the vision of God. Even now it enables us to see according to God, to accept others as “neighbors”; it lets us perceive the human body – ours and our neighbor’s – as a temple of the Holy Spirit, a manifestation of divine beauty. If one were baptized validly and then died, one would go directly to heaven (in the Catholic belief, the sacrament of baptism dissolves the eternal and temporal punishment of all sins). If one never committed a mortal sin and were absolved of all one’s venial sins just before death, one would go directly to Heaven. Most people who would enter Heaven do so through Purgatory (or “process of purification”). In Purgatory, a soul pays off all temporal punishment one deserved for the sins he committed in life. This does not always happen though. If one receives the Sacrament of Confession validly, as well as gains a plenary indulgence, and dies, one would directly go to heaven. There are many ways to get an indulgence, in various Papal decrees or publications. To receive a plenary indulgence, one must receive the sacrament of Confession validly, do one’s penance, validly receive Communion, say some specified number of Lord’s Prayers, Angelic Salutations and Minor Doxologies for the intentions of the Pope, and then perform some act of gaining the indulgence. Of course, one must remain free from all sin, mortal and venial, while doing all these things. There is a heaven, i.e., God will bestow happiness and the richest gifts on all those who depart this life free from original sin and personal mortal sin, and who are, consequently, in the state of justice and friendship with God. On the lot of those who die free from personal sin, but infected with original sin, see LIMBO. On the immediate beginning of eternal happiness after death, or eventually, after the passage through purgatory, see PARTICULAR JUDGMENT. The existence of heaven is, of course, denied by atheists, materialists, and pantheists of all centuries as well as by those rationalists who teach that the soul perishes with the body — in short, by all who deny the existence of God or the immortality of the soul. But, for the rest, if we abstract from the specific quality and the supernatural character of heaven, the doctrine has never met with any opposition worthy of note. Even mere reason can prove the existence of heaven or of the happy state of the just in the next life. We shall give a brief outline of the principal arguments. From these we shall, at the same time, see that the bliss of heaven is eternal and consists primarily in the possession of God, and that heaven presupposes a condition of perfect happiness, in which every wish of the heart finds adequate satisfaction. God made all things for His objective honour and glory. Every creature was to manifest His Divine perfections by becoming a likeness of God, each according to its capacity. But man is capable of becoming in the greatest and most perfect manner a likeness of God, when he knows and loves His infinite perfections with a knowledge and love analogous to God’s own love and knowledge. Therefore man is created to know God and to love Him. Moreover, this knowledge and love is to be eternal; for such is man’s capability and his calling, because his soul is immortal. Lastly, to know God and to love Him is the noblest occupation of the human mind, and consequently also its supreme happiness. Therefore man is created for eternal happiness; and he will infallibly attain it hereafter, unless, by sin, he renders himself unworthy of so high a destiny. Sadly, the gospel declares that very few are saved due to the many sins that are perpetrated by the human race. God made all things for His formal glory, which consists in the knowledge and love shown Him by rational creatures. Irrational creatures cannot give formal glory to God directly, but they should assist rational creatures in doing so. This they can do by manifesting God’s perfections and by rendering other services; whilst rational creatures should, by their own personal knowledge and love of God, refer and direct all creatures to Him as their last end. Therefore every intelligent creature in general, and man in particular, is destined to know and love God for ever, though he may forfeit eternal happiness by sin. God, in his infinite justice and holiness, must give virtue its due reward. But, as experience teaches, the virtuous do not obtain a sufficient reward here; hence they will be recompensed hereafter, and the reward must be everlasting, since the soul is immortal. Nor can it be supposed that the soul in the next life must merit her continuance in happiness by a continued series of combats; for this would be repugnant to all the tendencies and desires of human nature. God, in His wisdom, must set on the moral law a sanction, sufficiently appropriate and efficacious. But, unless each man is rewarded according to the measure of his good works, such a sanction could not be said to exist. Mere infliction of punishment for sin would be insufficient. In any case, reward for good deeds is the best means of inspiring zeal for virtue. Nature itself teaches us to reward virtue in others whenever we can, and to hope for a reward of our own good actions from the Supreme Ruler of the universe. That reward, not being given here, will be given hereafter. Every man has an innate desire for perfect beatitude. Experience proves this. The sight of the imperfect goods of earth naturally leads us to form the conception of a happiness so perfect as to satisfy all the desires of our heart. But we cannot conceive such a state without desiring it. Therefore we are destined for a happiness that is perfect and, for that very reason, eternal; and it will be ours, unless we forfeit it by sin. A natural tendency without an object is incompatible both with nature and with the Creator’s goodness. The arguments thus far advanced prove the existence of heaven as a state of perfect happiness. We are created for wisdom, for a possession of truth perfect in its kind. Our mental faculties and the aspirations of our nature give proof of this. But the scanty knowledge, that we can acquire on earth stands in no proportion to the capabilities of our soul. We shall possess truth in higher perfection hereafter if we persevere in goodness and piety. When people deny the existence of heaven, they deny not only the written Word of God, but they also deny the innermost longings of their own hearts. Paul addressed this issue in his letter to the Corinthians, encouraging them to cling to the hope of heaven so that they would not lose heart. Although we “groan and sigh” in our earthly state, we have the hope of heaven always before us and are eager to get there (2 Corinthians 5:1-4). Paul urged the Corinthians to look forward to their eternal home in heaven, a perspective that would enable them to endure hardships and disappointments in this life. “For that which is at present momentary and light of our tribulation, worketh for us above measure exceedingly an eternal weight of glory. While we look not at the things which are seen, but at the things which are not seen. For the things which are seen, are temporal; but the things which are not seen, are eternal.” (2 Corinthians 4:17-18). Just as God has put in men’s hearts the knowledge that He exists (Romans 1:19-20), so are we “programmed” to desire heaven. It is the theme of countless books, songs, and works of art. Unfortunately, our sin has barred the way to heaven. Since heaven is the abode of a holy and perfect God, sin has no place there, nor can it be tolerated. Fortunately, God has provided for us the key to open the doors of heaven—Jesus Christ, and baptism (John 14:6; Luke 3:21). All who are baptized and who believe in Him and seek forgiveness for sin will find the doors of heaven swung wide open for them (John 3:3-5). May the future glory of our eternal home motivate us all to serve God faithfully and wholeheartedly. “Having therefore, brethren, a confidence in the entering into the holiest by the blood of Christ; A new and living way which he hath dedicated for us through the veil, that is to say, his flesh, And a high priest over the house of God: Let us draw near with a true heart in fulness of faith, having our hearts sprinkled from an evil conscience, and our bodies washed with clean water” (Hebrews 10:19-22). The Scriptural argument is based especially on 1 Corinthians 13:8-13 (cf. Matthew 18:10; 1 John 3:2; 2 Corinthians 5:6-8, etc.). Theologians distinguish the primary and the secondary object of the beatific vision. The primary object is God Himself as He is. The blessed see the Divine Essence by direct intuition, and, because of the absolute simplicity of God, they necessarily see all His perfections and all the persons of the Trinity. The secondary object of the beatific vision comprises everything the blessed may have a reasonable interest in knowing. It includes, in the first place, all the mysteries which the soul believed while on earth. Moreover, the blessed see each other and rejoice in the company of those whom death separated from them. The veneration paid them on earth and the prayers addressed to them are also known to the blessed. Although the blessed see God, they do not comprehend Him, because God is absolutely incomprehensible to every created intellect, and He cannot grant to any creature the power of comprehending Him as He comprehends Himself. The blessed see the Godhead in its entirety, but only with a limited clearness of vision. They see the Godhead in its entirety, because they see all the perfections of God and all the Persons of the Trinity; and yet their vision is limited, because it has neither the infinite clearness that corresponds to the Divine perfections, nor does it extend to everything that actually is, or may still become, an object of God’s free decrees. Hence it follows that one blessed soul see God more perfectly than another, and that the beatific vision admits of various degrees. The beatific vision is a mystery. God, in His omnipotence, lets the soul directly feel Him and lay hold of Him and look on Him and become entirely immersed in Him. From what has been thus far said it is clear that there is a twofold beatitude: the natural and the supernatural. As we have seen, man is by nature entitled to beatitude, provided he does not forfeit it by his own fault. We have also seen that beatitude is eternal and that it consists in the possession of God, for creatures cannot truly satisfy man. Again, as we have shown, the soul is to possess God by knowledge and love. But the knowledge to which man is entitled by nature is not an immediate vision, but an analogous perception of God in the mirror of creation, still a very perfect knowledge which really satisfies the heart. Hence the beatitude to which alone we have a natural claim consists in that perfect analogous knowledge and in the love corresponding to that knowledge. This natural beatitude is the lowest kind of felicity which God, in His goodness and wisdom, can grant to sinless man. But, instead of an analogous knowledge of His Essence He may grant to the blessed a direct intuition which includes all the excellence of natural beatitude and surpasses it beyond measure. It is this higher kind of beatitude that it has pleased God to grant us. And by granting it He not merely satisfies our natural desire for happiness but He satisfies it in superabundance. It is a dogma of faith that the happiness of the blessed is everlasting. This truth is clearly contained in the Holy Bible; it is daily professed by the Church in the Apostles’ Creed (credo . . . vitam aeternam; eternal life), and it has been repeatedly defined by the Church, especially by Benedict XII. Even reason, as we have seen, can demonstrate it. And surely, if the blessed knew that their happiness was ever to come to an end, this knowledge alone would prevent their happiness from being perfect. The blessed are confirmed in good; they can no longer commit even the slightest venial sin; every wish of their heart is inspired by the purest love of God. That is, beyond doubt, Catholic doctrine. Moreover this impossibility of sinning is physical. The blessed have no longer the power of choosing to do evil actions; they cannot but love God; they are merely free to show that love by one good action in preference to another. The ultimate cause of impeccability is the freedom from sin or the state of grace in which at his death man passes into the final state, i.e. into a state of unchangeable attitude of mind and will. For it is quite in consonance with the nature of that state that God should offer only such co-operation as corresponds to the mental attitude man chose for himself on earth. For this reason also the souls in purgatory, although they do not see God, are still utterly incapable of sin. The beatific vision itself may be called a remote cause of impeccability; for by granting so wondrous a token of His love, God may be said to undertake the obligation of guarding from all sin those whom He so highly favours, whether by refusing all co-operation to evil acts or in some other manner. The beatific vision of its very nature directly excludes the possibility of sin. For no creature can have a clear intuitive view of the Supreme Good without being by that very fact alone irresistibly drawn to love it efficaciously and to fulfill for its sake even the most arduous duties without the least repugnance. The Bible describes heaven in great detail in Revelation chapters 21-22. Nowhere in those chapters is the possibility of sin mentioned. There will be no more death, sorrow, crying, or pain (Revelation 21:4). The sinful are not in heaven, but in the lake of fire (Revelation 21:8). 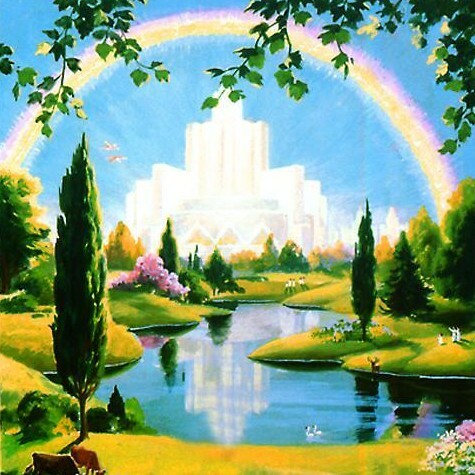 Nothing impure will ever enter heaven (Revelation 21:27). Outside of heaven are those who sin (Revelation 22:15). So, in conclusion, there will be no sin in heaven or even a possibility to sin while in heaven. What does that mean for us? If there is no possibility of sin, does that mean we will no longer have a free will in heaven? On earth, our ability to choose good is similar to that of the angels before the fall. The angels had a one-time choice to obey God or follow Satan. There is no possibility of further angels sinning and joining Satan in his rebellion. The holy angels are “elect angels” (1 Timothy 5:21). Similarly, the elect in heaven will be “sealed” in their decision to forsake sin and trust in Christ. We will not even have the choice to sin. At the same time, having been delivered from sin and evil, and viewing the wonderful glories of heaven, we would not choose sin even if we had the choice. We distinguish objective and subjective beatitude. Objective beatitude is that good, the possession of which makes us happy; subjective beatitude is the possession of that good. The essence of objective beatitude, or the essential object of beatitude is God alone. For the possession of God assures us also the possession of every other good we may desire; moreover, everything else is so immeasurably inferior to God that its possession can only be looked upon as something accidental to beatitude. Finally, that all else is of minor importance for beatitude is evident from the fact that nothing save God alone is capable of satisfying man. Accordingly the essence of subjective beatitude is the possession of God, and it consists in the acts of vision, love, and joy. The blessed love God with a twofold love; with the love of complacency, by which they love God for His own sake, and secondly with the love less properly so called, by which they love Him as the source of their happiness. In consonance with this twofold love the blessed have a twofold joy; firstly, the joy of love in the strict sense of the word, by which they rejoice over the infinite beatitude which they see in God Himself, precisely because it is the happiness of God whom they love, and secondly, the joy springing from love in a wider sense, by which they rejoice in God because He is the source of their own supreme happiness. These five acts constitute the essence of (subjective) beatitude, or in more precise terms, its physical essence. In this theologians agree. They derive great pleasure from the contemplation of all those things, both created and possible, which, as we have shown, they see in God, at least indirectly as in the cause. And, in particular, after the last judgment the new heaven and the new earth will afford them manifold enjoyment. Since eternal happiness is metaphorically called a marriage of the soul with Christ, theologians also speak of the bridal endowments of the blessed. They distinguish seven of these gifts, four of which belong to the glorified body — light, impassibility, agility, subtility; and three to the soul — vision, possession, enjoyment. Yet in the explanation given by the theologians of the three gifts of the soul we find but little conformity. We may identify the gift of vision with the habit of the light of glory, the gift of possession with the habit of that love in a wider sense which has found in God the fulfillment of its desires, and the gift of enjoyment we may identify with the habit of love which rejoices to be with God; in this view these three infused habits would he considered simply as ornaments to beautify the soul. (Cf. St. Thomas, Supp:95). There are various degrees of beatitude in heaven corresponding to the various degrees of merit. This is a dogma of faith, defined by the Council of Florence (Denz., n. 693 — old, n. 588). The Bible teaches this truth in very many passages (e.g., wherever it speaks of eternal happiness as a reward), and the Fathers defend it against the heretical attacks of Jovinian. 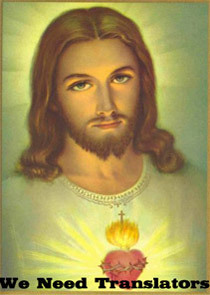 It is true that, according to Matthew 20:1-16, each labourer receives a penny; but by this comparison Christ merely teaches that, although the Gospel was preached to the Jews first, yet in the Kingdom of Heaven there is no distinction between Jew and Gentile, and that no one will receive a greater reward merely because of being a son of Judah. The various degrees of beatitude are not limited to the accidental blessings, but they are found first and foremost in the beatific vision itself. For, as we have already pointed out, the vision, too, admits of degrees. These essential degrees of beatitude are, as Francisco Suárez rightly observes ("De beat. ", d. xi, s. 3, n. 5), that threefold fruit Christ distinguishes when He says that the word of God bears fruit in some thirty, in some sixty, in some a hundredfold (Matthew 13:23). And it is by a mere accommodation of the text that St. Thomas (Supp:96, aa. 2 sqq.) and other theologians apply this text to the different degrees in the accidental beatitude merited by married persons, widows, and virgins.